The message above comes from the National Alliance for Public Charter Schools and Concept Schools can relate to the national gap in access to high-quality public charter schools. While many of our network schools have waitlists, Concept is fortunate to partner with a variety of charter authorizers and local leaders who believe in sustained growth and expansion of our schools and programs. A lack of equitable funding for public charters not only affects access to facilities and programs, it severely limits the ability to adequately serve those enrolled. Many public charter schools open in historically underserved communities with high concentrations of low-income, minority, and low-performing students. Traditional public schools within these communities often struggle, and charter schools open to provide a different educational approach. As a result, public charter schools enroll a greater percentage of at-risk students which are often exposed to chronic child trauma events such as community and domestic violence, grief, poverty, or familial structures that are inconsistent or lack safety, comfort, and/or protection. “Schools are therefore confronted with the task of supporting traumatized children to reset their baseline internal stress and arousal levels to bring their cortex—the area of the brain responsible for thinking, logic, analysis, and problem solving—back online,” reported Micere Keels from the University of Chicago. Students exposed to high levels of stress and chronic trauma are not able to think and process information as effectively as their peers, and in order for schools to develop their background knowledge, creativity, and critical thinking skills, schools require additional supports and interventions. 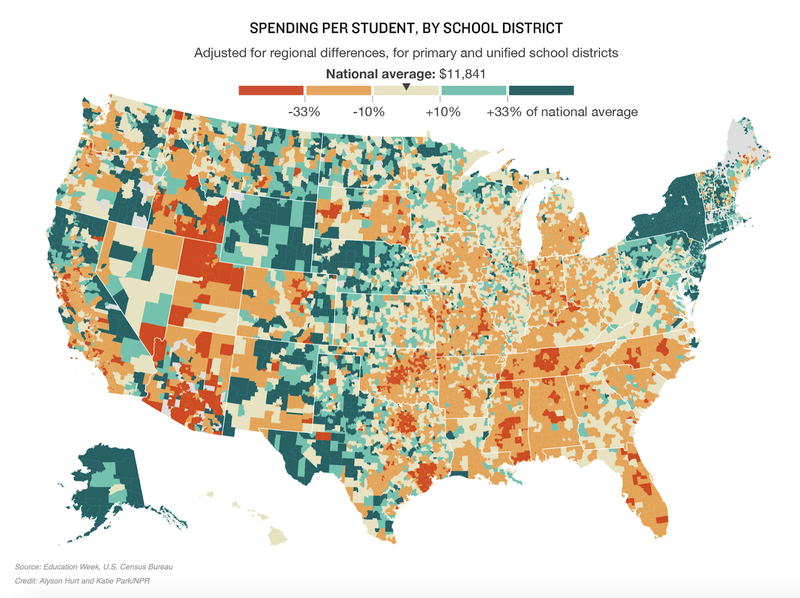 These resources require additional funding, and this is all the more reason why it is incumbent upon us all to contact our local members of Congress and demand that public charter schools receive equitable funding–and not just for the five million waiting.